Born near Paris, Chef Jean-François Deguignet was brought up in a family of pastry Chefs. His grandfather founded the Deguignet Pâtisserie shop (later known as Les Muscadettes) where, at an early age, Jean-Francois Deguignet began to develop skills in what would later become his career. He obtained his "Certificat d’Aptitude Professionelle" (CAP) in pastry and a "Brevet" (Pastry Diploma). Chef Deguignet continued working in the family business until 1983 when he was recruited as pastry Chef by the InterContinental hotel in Paris where he remained until 1996. Chef Deguignet's dedication to the pastry profession has earned him numerous awards and distinctions throughout his career. In 1990 he was awarded the Gold Medal in the “Trophée National de l’Academie Culinaire de France”. For two consecutive years he was the recipient of the Charles Proust Silver Medal and that of Les Maîtres Cuisiniers de Paris. At the "Journées Gourmandes d’Évry," he received the Pastry Confederation’s Gold Medal in 1991; the event's Trophy and Silver Medal in 1992; and, in 1994, the Marcel Duhamel Trophy. 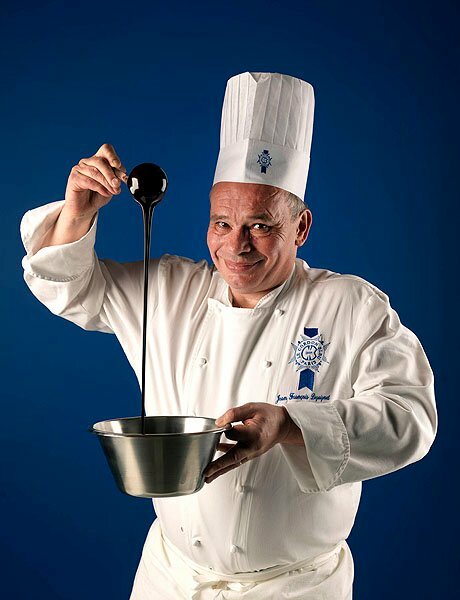 Participating in the 1992 "Journées Gastronomiques de Sologne," he earned the Gold Medal of the "Société des Meilleurs Cuisiniers de France" and, in 1993 the "Trophée Jean Louis Berthelot" as well as the Saint Michel Gold Medal. Jean-François Deguignet is a member of the Culinary Academy of France. Chef Deguignet joined Le Cordon Bleu team of Chef Instructors in 1999. He has been passing on his knowledge and expertise to the students of the Paris school and also taught at Le Cordon Bleu Sookmyung Academy in South Korea.